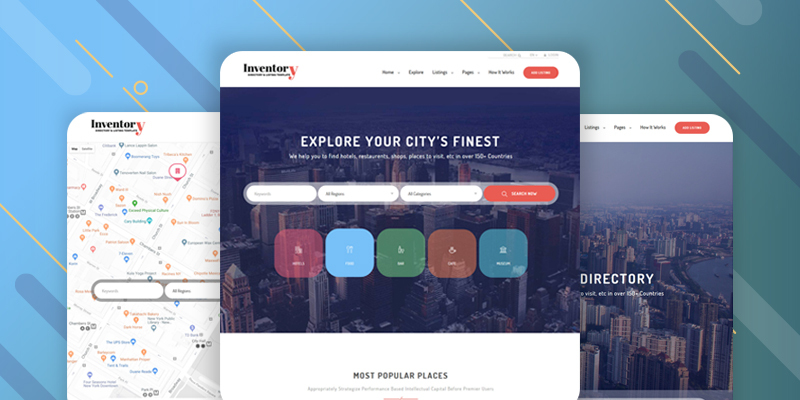 Inventory a Directory Listing Website Template. If you are planning to create a listing Website then Inventory is the great choice for you. Inventory is 100% Responsive with multi-page and multipurpose Template. There are a lot of page layouts and this template is suitable for many purposes. We have developed this template with clean code and it lets you modify anything you need. Inventory a Fully Responsive Template. We have tested this template on most of all device and fixed all problem. We have developed a cool way for the users to find exact what they want. It helps you to search via keywords, locations, and category. If you need any other filter, it's easy to add in this Template. The Listing page Designed with maps and item. Just search it and you will see everything without redirect you to another page. Showcase your most popular listing in this section. People always crazy to see something popular. 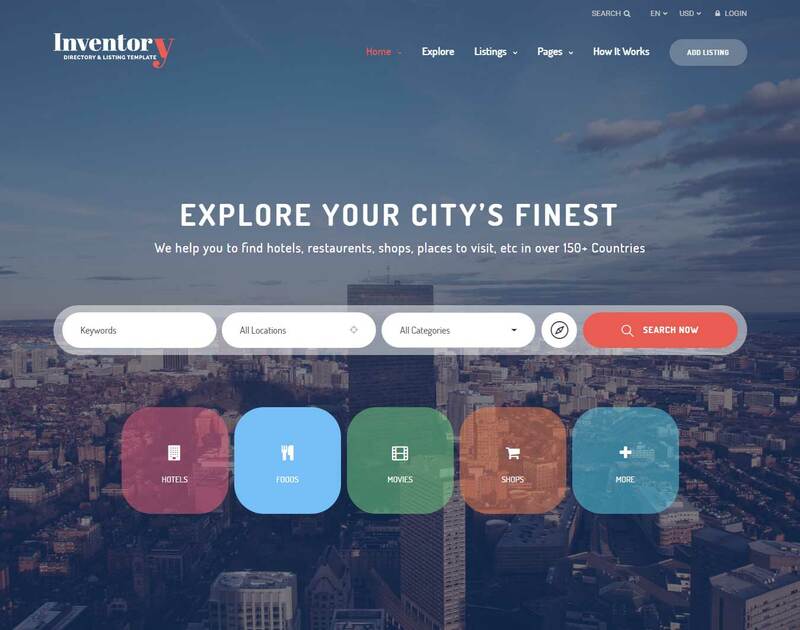 It's easy to display the featured places in your homepage. Just put your images and content in this section. Tell your story to your visitor so that they can trust you and learn how you work. Use some simple icon and content in this section. Testimonial always great to attract visitor attention. Put awesome feedback from your clients and show these to all of your visitors. Though the Footer is the last part of a Website but it is necessary to have a good locking footer. We have developed this cool looking footer for this Template.